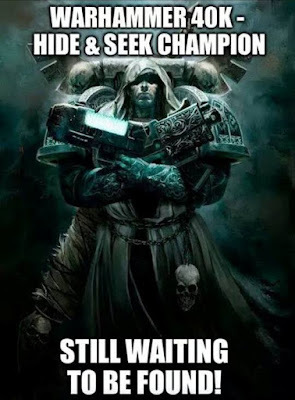 Spotlight on blogging part 4 - 40k unorthodoxy! Hi all, so my series on other blogger's blogs has reached part 4! this means it is a success, and I shall continue on with it! Today I take a look at a recent addition to my reading list, though one whose writer I have been familiar with for some time through The Dark City. Hobby update - 30-1-17 - I got the Dusk Knight blues! Ok so before you start worrying about my sanity in terms of me getting fed up of painting - nothing could be further from the truth! I've just done a lot of basecoating this week, specifically dusk knights, so my pot of Kantor blue has taken such a battering I needed to order another. Greetings all! As some of you may know - the above chaplain was available for purchase for a limited time, and for a while eBay went nuts as people payed obscene amounts of money for them. I wasn't one of those people, but I had seen pictures of the figure and was extremely disappointed that I wouldn't be able to get my hands on one. Friday funny - a view we all share! Greetings all! Time for my final army plans post - this time we're going to look at the most recent of my 'finished' 40k armies, the Tau of the Obsidian Enclave. This one is a post of particular poignance for me I think, because this is the second time I've collected (or at least started collecting) a Tau army and I put a lot of thought and effort into making the collection as 'friendly' as possible. 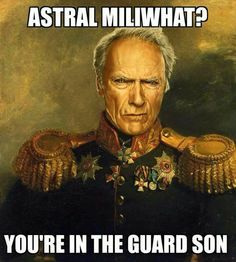 The Tau certainly have a reputation for being able to put together some very dirty lists, and I wanted to avoid that. 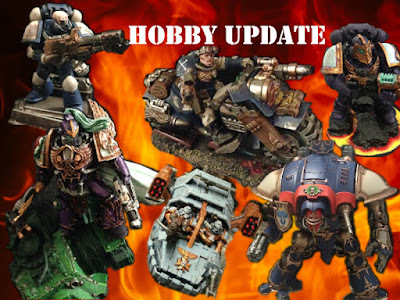 Greetings all, welcome once more to another dark and dingy corner of the interwebs, when I shine that brightest of lights on some of the other hobby blogs out there that I follow! This week we have a relatively new entry into my reading list, 40khobbyblog , but boy what an entry it made - I can't believe I've never seen it before (especially given the blog title) but I've spent lots of happy time since flicking through old posts! Greetings all, welcome to another little look at what's on my painting desk at the moment! Welcome to the third of my 2017 plan posts for my armies, today I'm going to be looking at my Emperor's Children. The first two articles in the series can be found here (Dusk Knights) and here (Kindred of Malebolgia). 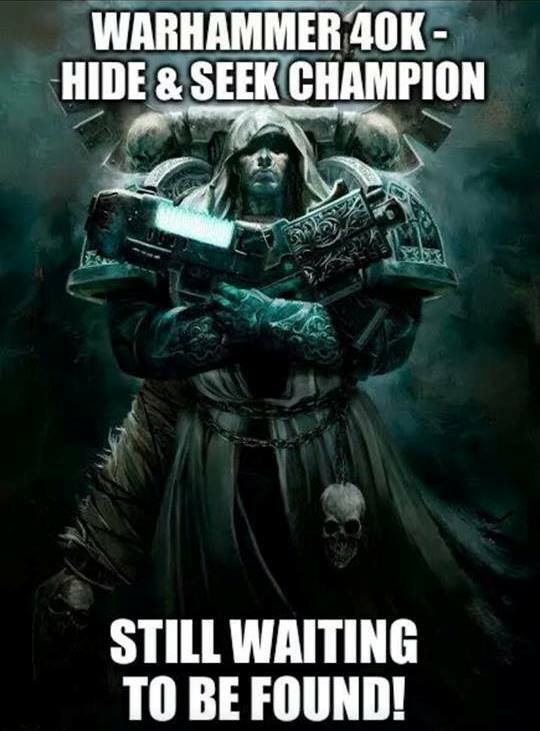 This one might very well be shorter, but only because I haven't got much stuff for the Emperor's Children and it's damned expensive to get more! 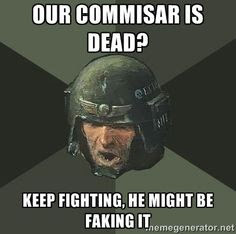 Friday Funny - The commissar is dead, long live the commissar! Right, let's sit down and have a good think about things shall we? 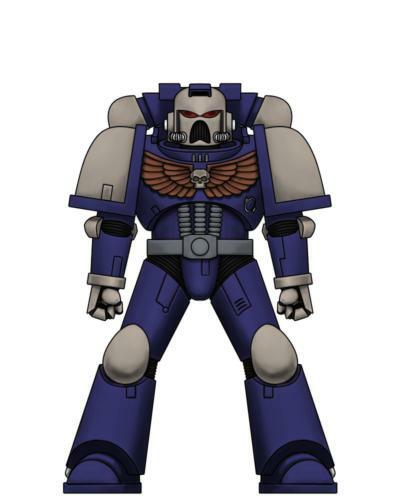 Last week I wrote about how I was going to go back to first principles with my space marine army, re-learning how they work to improve my performance and win percentage. First up, let's have a look at the primary building block of the space marine army and its various options, the tactical squad. I'm not gonna pretend this isn't a review, but I'm under no illusions that they haven't been reviewed before, this is more for my own edification and learning experience and for you to share in that journey, maybe even learn a few things in the meantime. Spotlight on Blogging - 30k plus 40k! 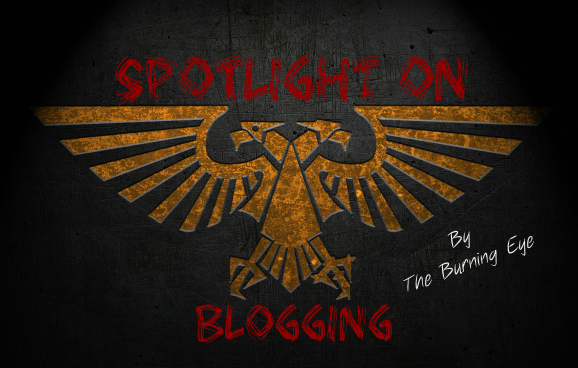 Greetings all, and welcome to part two of my spotlight on blogging (splogging?) series. 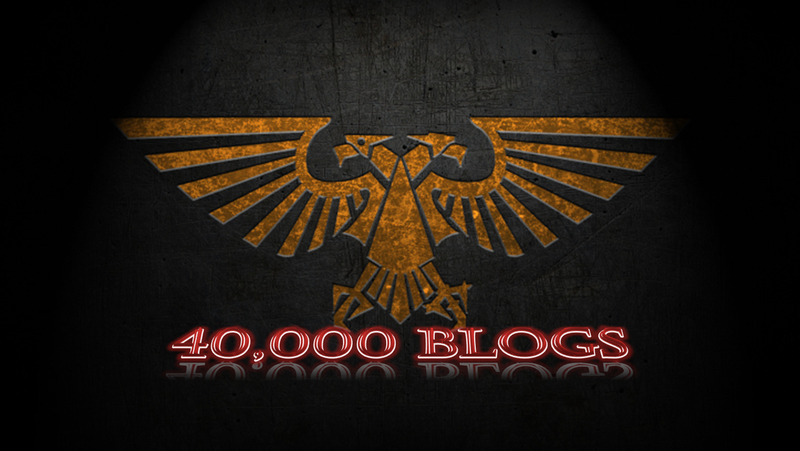 Today we take a look at a blog probably familiar to many of you - 30kplus40k by Rob Hill. Now I have a particularly soft spot for this blog, as Rob has often said my own blog and discussions with him on the Dark City forum were part of the inspiration for starting his own. Consequently I've been around this blog since its beginning. Greetings all - it's Monday again and that means only one thing (well, only one thing to this blog that is) - it's hobby update time. Your weekly peek at my progress on my various projects, including how quickly I'm ploughing through the grey plastic pile and my hobby season goals! 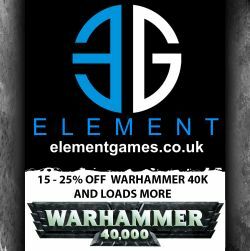 40k - the road to competence! Greetings all - It must be a New Year, I have all these interesting ideas buzzing round in my head about things I can do with the blog, and this year I'm trying to get my life more in order, so everything is set out with drafts ready to publish at the appropriate time, I've even set up a draft post for my review of the year and am adding to it as I go along so I don't forget stuff! Still, nevermind all that, here's another new feature for the blog (have you noticed new header pictures for regular features?) and this one relates to tactics! Greetings all! Hopefully you've all seen my plan post for the Dusk Knights (linky link) and here's the second installment - the Kindred of Malebolgia. If you missed it on my blog last year (erm, what do you think you were playing at?) then I'll explain - the Kindred will be my first genuinely new army in a very, very long time, probably since I picked up some Night Lords models in the early-mid noughties. 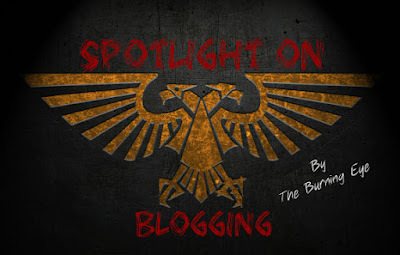 New feature - Spotlight on Blogging! Greetings all - welcome to a new feature on The Burning Eye this year! In my 2017 resolutions I promised that I'd resurrect some old blog features, and try to come up with some new ones. That all started last week with the return of Funny Friday and my personal favourite action film star transposed into the 40k universe. Today however I'm doing something new. Hobby update - I've been building. Quite a lot of stuff actually! Well, I figured with a new year comes a new responsibility (sorry for the mis-quote Mr Lee). What I mean by that, is that I'm going to try and get my posts into a much more organised state, with better pictures once minis are finished (yup, you're still going to have to feed off the crap WiP ones I'm afraid). Well I promised in my look forward to 2017 that I'd try and reinstate a few features on the blog that have lapsed a bit, and here's the first of them - Funny Friday! The concept is simple - Fridays are the start of the weekend, so let's put a hobby smile on our faces with some grim dark based japery! Here I am once again with my continuing ramblings on what 2017 holds. My last post looked at my generic hobby plans for the year, but I've decided to do a more detailed post, focusing on each of my armies and setting out my plans for them, whether or not they are to be expanded on, fluff, tactics, tournaments etc. Well, those three weeks went quick! First, apologies for the lack of advance notice of my disappearance, it was first caused by illness (nothing serious, but enough to keep me away from hobby stuff) and then the busy-ness of Christmas with a 3-year old and a 1-year old, visits to two different sets of relatives and two sets of friends, plus a further visit from more relatives. All that means I've not posted since the 15th December and I haven't managed to get any of the posts I was planning on writing started. I figured therefore that I could kind of make this a fresh start, with it being a New Year and all. Well, 2016 was an unprecedented year for the blog and myself, and there were some fairly major achievements to be proud of. First though, let's have a look at my resolutions from last year. 1. Paint 500pts of a new army. Sadly no, I didn't achieve this aim. I was working on my Emperor's Children but got struck down with lurgy before I actually finished any of the models sadly. This was an easy one, especially considering I used money from Christmas 2015 to do it. 3. Place in the top half of two tournaments with different armies. This was going to be a tricky one, given the number of tournaments I attended was 2. It started well with the Greetings from the Warp doubles tournament, where Martin and I grabbed 5th place and the best painted army award. Sadly my performance at Fluffageddon can only be described as abject, with the Tau putting on a horror show that's convinced me I need to re-build the army in a different style to be 'competitive'. 4. Organise Hero for a Day. This was the major success for me personally last year, as 10 gamers came together for 24 hours to raise over £1000 for the Children's Cancer and Leukaemia Group. 5. Average 300pts per month of space marines built/painted. This aim was originally just a painting challenge, but when I decided to sell off the Iron Fists it made sense to amend it and include building my new marine list. This one was a comfortable win, as I've probably almost achieved it just from building new stuff. 6. Paint 500pts of Dark Eldar. This one got knocked on the head pretty early when I decided to sell off the Dark Eldar. 7. Complete all the Tau I had at the time. Achieved, all the Tau got painted, though I've since picked up some more stuff and decided I need to repaint the whole army as I'm unhappy with the standard of the current scheme. 8. Draft of 4th Army. I completed this pretty early too with the Bromheads, and though they have since evolved somewhat beyond those initial plans (ie I'm now also working on Genestealer Cult to go with them) that's a tick off the list. 9. Play a 5000+ pt game. Well last time you checked in this was still a 'no', but it was finally achieved on the 30th December as Martin and I teamed up once more to take on Tzeentch daemons and Khorne Daemonkin. Sadly as we were playing at Warhammer World we ran out of time before completing the game and Martin and I were behind at that point. I'm confident we were in the better position to push on for the win though had we got to turn 5. Hmm, I think the space marines made it out ok here, and the sole game I played with my Dark Eldar was a win, but the Tau underperformed badly, certainly not helped by 6 losses at Hero for a Day and another 3 at Fluffageddon. 11. Beat Ryan more than I lose. 12. Average 5000 views per month on the blog. I think the only phrase here that truly encompasses the reality is 'smashed it' with a total of 125,091 views in the year and not a single month dropping below 5,000. Onwards and upwards this year, so I'll look to have a similar aim with a new target. 13. Average 1 unit review per week. Abject failure. I think I gave up after about 7 reviews in the year, so I'll be looking to have another go at this one too. So I completed 7 of the 12 resolutions (I'm not counting the DE one) I set myself. Not bad, but not great either, so I need to work harder on things this year! In other achievements for both myself and the blog this year, Martin, Tom and myself have set up the Grim Dark Brotherhood, and we're looking to push on with that in 2017. 10 of my posts from this year achieved over 1000 views, which considering they usually only feature on the front page of the blog for about 2 days is pretty noteworthy (in my land, I realise other blogs will easily beat these figures every time). I also not only successfully ran my own charity event, but was successful in the weemen charity raffle, picking up the Collector's Edition Terminator Chaplain as the prize, and Siph and myself have some plans to feature these on our blogs in the future. So, let's look forward to 2017 then shall we, and try to figure out what might be in store, both here on the Burning Eye, in my own hobby dungeon and in the wider hobby universe. I think that's probably enough challenges for now, don't you? No? Ok, one more, but it's not hobby related. For several years now I've been overweight. In grand traditional 'New Year's Resolution' style I'm going to aim to lose that weight. I'll post up progress in my usual monthly reviews alongside the rest of my aims (don't worry, I won't post pics) but my main aim is to get down to 12.5 stone by May's review post.